A young Denver-based company has lofty ambitions to revolutionize the coffee industry through earthly means — incorporating the vegetative parts of fungi found in the root structures of mushrooms, called mycelium, to naturally alter flavor and mitigate negative qualities of bitterness in coffee. Myceliation is a relatively new development process in the food world at large, and the two-year-old startup called MycoTechnology is helping pave the way through a fermentation process that can be applied in numerous food segments, although coffee has been at the forefront of the company’s efforts. Pitching themselves as “The Taste Defect Experts,” the MycoTechnology team says its coffee-specific “MycoSmooth” process has the ability to decrease unwanted bitterness in arabica and robusta coffees, while offering a list of other defect-mitigation services that may include sugar reduction, toxin removal and flavor enhancement. 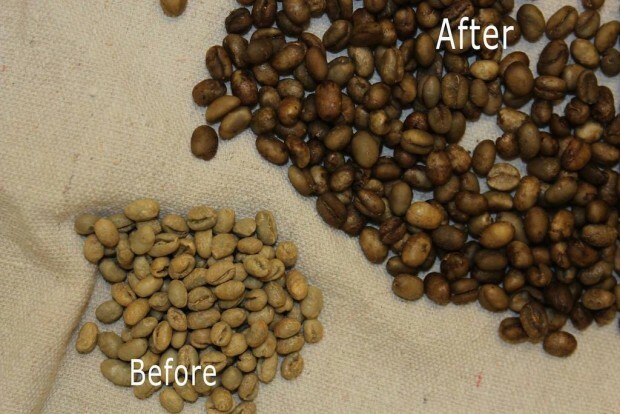 Facebook photo by MycoTechnology showing the appearance of coffee before and after the myceliation process. 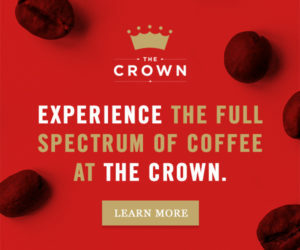 The MycoSmooth process itself, applied to green coffee beans, requires approximately a week of fermentation time, and MycoTechnology suggests it can potentially allow coffee roasters to achieve savings through purchasing lower-grade coffees and treating them to remove unwanted flavor qualities. We spoke with MycoTechnology Marketing Manager Josh Hahn more about the process and how the company hopes to find footing in the coffee world. Has coffee been a focus since the outset of the company and the product development? 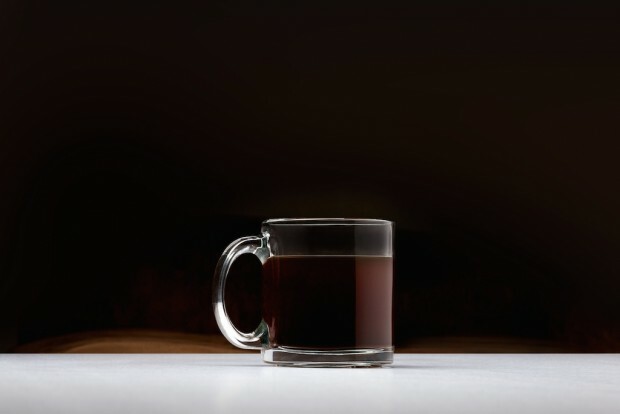 Coffee was the original focus of the company. 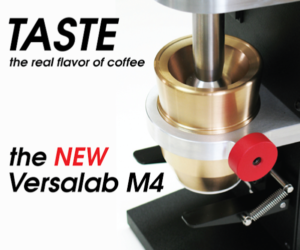 We have continued to refine our process and have made significant progress in improving and developing unique flavor profiles. 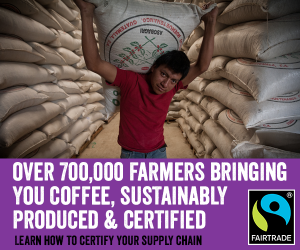 Have you made much headway in the coffee segment? 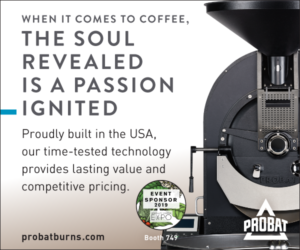 Do you have roaster clients? Currently we have a few small customers and working through the sales cycles with some of the larger players. Does each product category you approach (cocoa, grains, coffee, etc) require a different strain of mycelia? What particular challenges were involved in developing the coffee strain? There are a variety of factors to consider when working with the different substrates. Working with coffee requires a different strain than cacao and dependent on the goal, requires different natural, GMO-free and chemical-free training methods. When we originally developed the MycoSmooth process we ran into issues with the anti-fungal properties of coffee beans. After several iterations we were able to develop a highly successful method for reducing the bitter molecules and nearly eliminating all naturally occurring mycotoxins that are found in all coffee beans. Did you consult with coffee roasters during the product development? Yes, we work with quite a few roasters, however, we are under non-disclosure agreements. Can you explain in more detail the process for conditioning green coffee beans? The process starts with inoculating green coffee beans with a synthetized strain of mushroom mycelium (roots) and let it ferment in a bioreactor. During this time the mycelium are consuming the molecules that they have been trained to break down. There are seven different main contributors to bitterness in coffee such as 2-methyl-pyrimidine, Furfural, 2-Furanmethanol, C6H602 (quinone isomers), 5-methyl-2-furancarboxaldehyde, 3-hydroxy-4-methoxy benzaldehyde and Diketopiperazine. We are able to reduce these molecules by up to 75% as well as being able to decrease mycotoxins by up to 65%. Once the beans have been fermenting for about a week, we dry them down to appropriate moisture content and they are ready to be roasted as normal. Do you see unique potential in the robusta market? There is quite a significant cost savings advantage by using our technology on robusta. By reducing the bitter qualities allows roasters to significantly increase the amount of robusta they can use in their blends. Since robusta trades at a significant discount compared to Arabica, companies can see upwards of 30% to 40% savings by using our technology.